Microsoft has released new driver updates for its Surface Laptop 2 and Surface Go LTE this week (via Neowin). The new bits should improve Surface Pen reliability on both devices, and several driver updates for the Surface Laptop 2 should also improve system stability. • Surface Pen Firmware Update – System devices – 3.0.10.1: Ensures reliability of Pentop button click on Surface Pen with no clip-on Windows 10 October 10, 2018, Update, version 1809. Use the Surface Pen Checker Tool to verify that the Pen’s firmware was successfully updated. • Surface Pen Integration Device – Human Interface Devices: 1.0.9.0 Enables firmware update to Surface Pen with no clip. • Surface Integration Service Device: 4.18.139.0 Improves system stability. • Surface ME – Firmware: 11.8.56.3522 Improves system stability. • Surface System Aggregator: 145.106.139.0 Improves system stability. 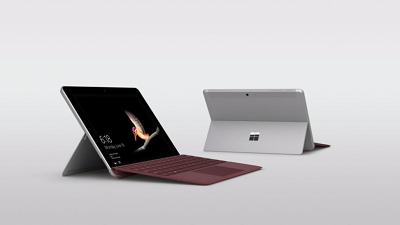 • Surface Touch – Firmware: 145.106.139.0 Improves system stability. • Surface UEFI – Firmware: 137.2439.769 Improves system stability. • Generic IO & Memory Access – System: 1.5.4.0 improves compatibility issue and enables update to Windows 10 October 2018 Update. Microsoft says that it’s not aware of any known issues with these latest driver updates, but as usual let us know in the comments if you encounter any problems after installing them on your devices.